Mzamo Masito, chief marketing officer at Google Africa, will host a session at the Loeries DStv Seminar of Creativity. What can attendees hope to gain from this session? media update chatted to Masito to find out. 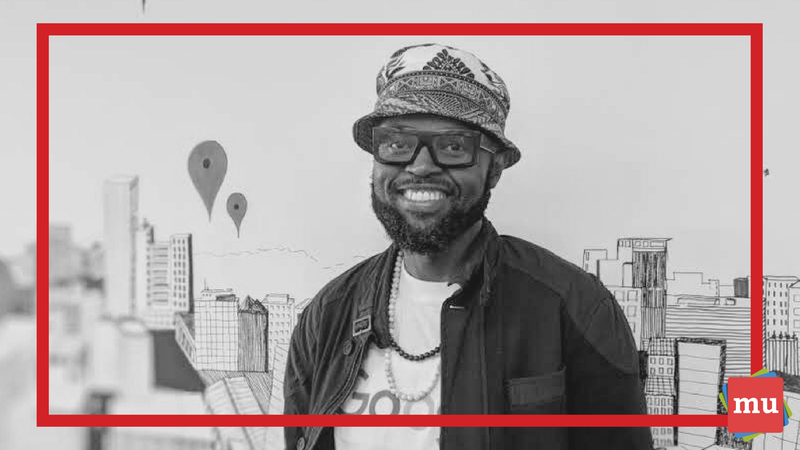 Based in Google’s Johannesburg offices, Masito’s role as the CMO sees him lead the sub-Saharan Africa marketing team. He says the position involves bringing Google’s mission to life: to organise the world’s information and make it accessible to everyone. Masito lectures at the AAA School of Advertising and also serves on the GIBS advisory board. He also founded and runs an NGO called ‘African Men Care’ that funds the further studies of underprivileged children. He says he is passionate about learning and what the power of education can do for the African people. 1. What can attendees expect to learn from your seminar at the Loeries? My presentation will be about creativity, reflections and insights from the past 40 years [in the industry]. This will include my 20-plus years working in the creative sector with the likes of Unilever, Nike, Vodafone, Vodacom and Google. 2. What do you think separates good marketing from great marketing? Championing diversity and inclusion, empathy, authenticity, storytelling and insights. 3. What are you hoping to see from the African and Middle-Eastern work that has been entered into the Loeries this year? I hope to see entries that go beyond the obvious. [I’m hoping to see some] great storytelling of meaningful stories that have impact beyond the brand’s objectives and have a positive influence on poverty, jobs, gender equality, inclusivity, human rights and so on. 4. How important do you think awards, like the Loeries, are for African and Middle Eastern marketers and creatives? In the whirlwind marketing space, you’re only as good as your last campaign, and we tend to move from campaign to campaign at high speed. Awards like these give us a chance to reflect, review and evaluate what we’ve done, what’s worked, what hasn’t and what can be done better in the future. They also give us a chance to benchmark ourselves against our peers, and to reward those peers for excellence. 5. What do you think South African creatives can do to ensure that the marketing industry continues to grow and develop? The critical skill for any marketer is having an understanding of, and insight into, the consumers [their] brand serves, and an attitude that is consumer-centric. We need to make sure we keep that focus on the consumer, and that we keep delivering great work to inspire the next generation of digital genius to enter the industry. Marketing, and other creative sectors, give us a chance to tell our stories, to reflect on the realities of our lives in our work, and to educate, inform, entertain and inspire. This is why it is important that we foster creativity in our youth, so that they can share their stories and teach themselves, and each other, through those stories. With the Loeries edging ever-closer, find out more about the Awards and the importance of recognising the youth in our article, #Loeries2018: Toufic Beyhum – the importance of awarding students.